A regional beer summit at USM will address issues that the maturing industry faces, such as the economics of competition. 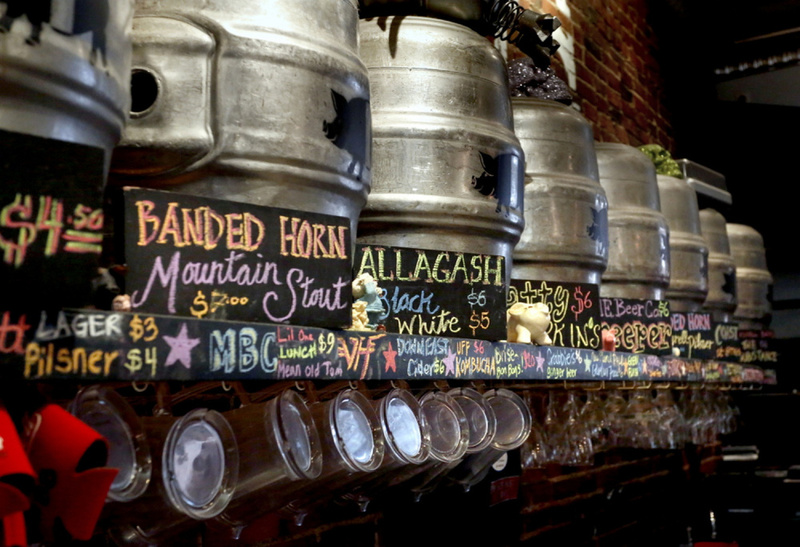 The Thirsty Pig, one of the Old Port’s thriving craft beer bars, has 10 beers on tap at any given time. With 93 breweries in Maine producing hundreds of beers, there’s no way Allison Stevens, The Thirsty Pig’s owner, can keep everybody happy. Even among the 20 breweries in Portland – and more are on the way – competition is growing for tap space. Stevens’ situation illustrates the growing competition among craft brewers, a topic that will be addressed Friday at the New England Craft Brew Summit at the University of Southern Maine’s Abromson Center. About 600 people from the region’s craft brew industry have registered to attend to discuss issues confronting the growing industry, including competition. They will have plenty to talk about. The number of breweries in Maine has tripled in the last six years, from about 30 to more than 90, mirroring a nationwide trend that has brought newcomers into a crowded field. There now are more than 5,000 breweries in the United States. Bart Watson, the keynote speaker at the brew summit and chief economist for the national Brewers Association, says growth is slowing and there will be mergers or closures as the industry matures. In Portland, D.L. Geary Brewing Co. announced it was facing bankruptcy before new owners agreed this month to buy and modernize Maine’s first craft brewery. To be sure, there’s still room for a newcomer to elbow into the Portland market. Lone Pine opened a year ago and quickly got on tap at 40 Portland-area restaurants, said co-founder John Paul. He did that, in part, by finding restaurants that weren’t offering locally brewed beers and encouraging them to give Lone Pine a try. To make that an easier sell, he promised a steady supply of its Portland Pale Ale. The result was Lone Pine locked up space on the tap lists at various bars and eateries. It also meant there would be sufficient demand to validate tripling production, Paul said. The brewery is on pace to brew more than 1,500 barrels of its Portland Pale Ale this year. Portland’s newest brewer hasn’t felt the nip of competition yet. Battery Steele, which is in the same building as Foundation and Austin Street, hopes to open at some point in the next week. Typically, young breweries get a wave of business as beer drinkers are drawn by the novelty of a new brand. Co-founder Jacob Condon said Battery Steele has made over 600 gallons of each of its inaugural beers, which include an imperial stout, a saison and an India Pale Ale. Watson says every brewery in Maine will eventually feel the competition. As the Portland market matures, brewers might be forced to look to rural markets to sell their beers. Portland is not an untapped market, said Stevens, the owner of The Thirsty Pig. 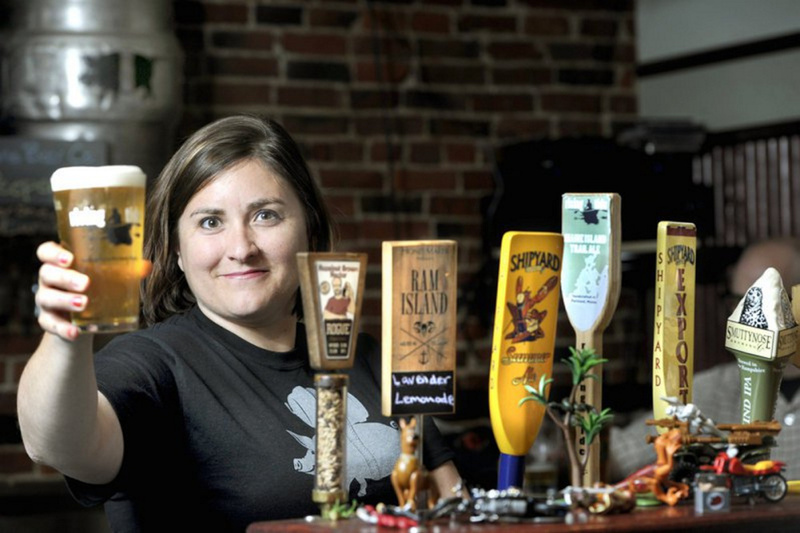 She has a plan for the tap list: Offer a variety of styles from the best local brewers. Stevens said brewers are pumping out too many IPAs for her to fathom carrying them all, but she still can’t get a good stout in the summertime. But with only 10 taps, there isn’t much room for an upstart brewery. Stevens laughed as she compared how the beer industry has changed in the six years her bar has been open. “It certainly is competitive now,” she said.